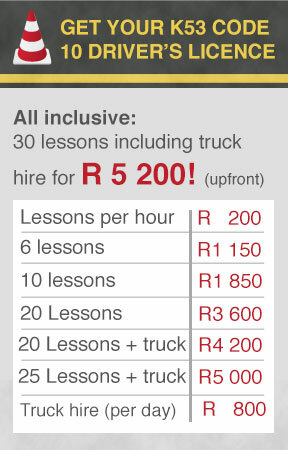 Masanga Driving School offers professional instruction for learner’s licences, as well as Code 08 and 10 driver’s licences, in accordance with the K53 defensive driving system. Our instructors are qualified, professional and patient – we believe everyone can learn to drive and do so safely! 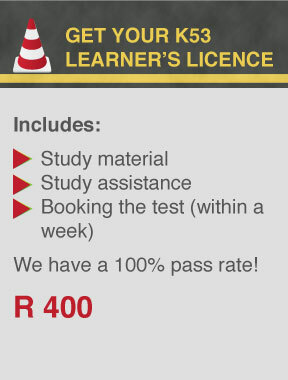 We also pride ourselves in maintaining a 100% pass rate on the K53 learner’s licence test! From hourly rates to bundled lessons and special all-inclusive package, we offer a variety of learning options to suit your needs. 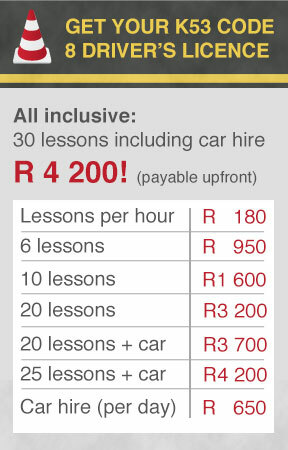 We also offer lessons in the evenings and over weekends for those who are not available during normal work hours. Don’t have a car? No need to worry – our lesson rates include both individual instruction and use of a vehicle. For code 08 driver’s licences, our students can choose between a Fiat Palio and a Hyundai Getz. We offer a pick-up / drop-off service on request. Our students may also hire a vehicle from us for the driver’s licence test. Our areas of operation are Cape Town, the northern suburbs such as Kraaifontein, Brackenfell, Parow, Bellville, Goodwood, Parklands and Table View, and the southern suburbs up to Wynberg. Call us now on 021 591 2181 or click here to contact us.